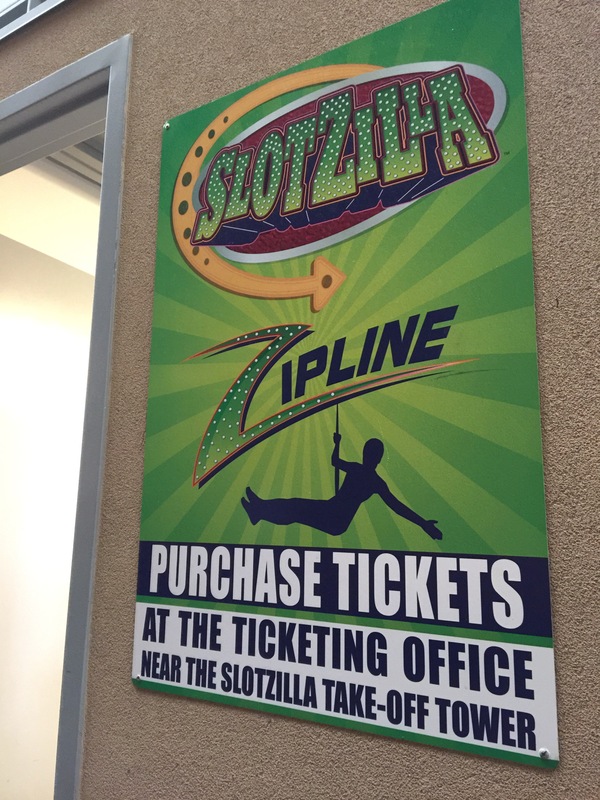 The Slotzilla Zipline is a new, thrilling experience in Las Vegas. 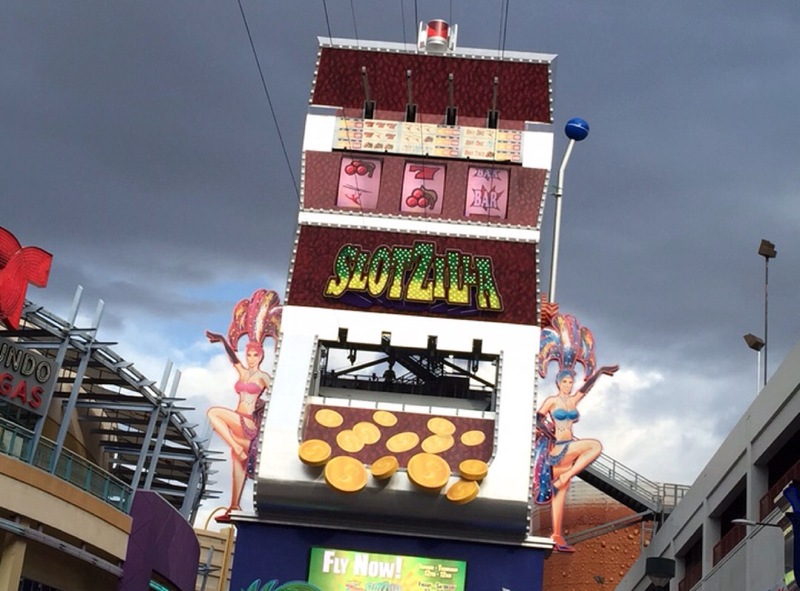 The zip line soars over the Freemont Street Experience, making for an awesome ride! 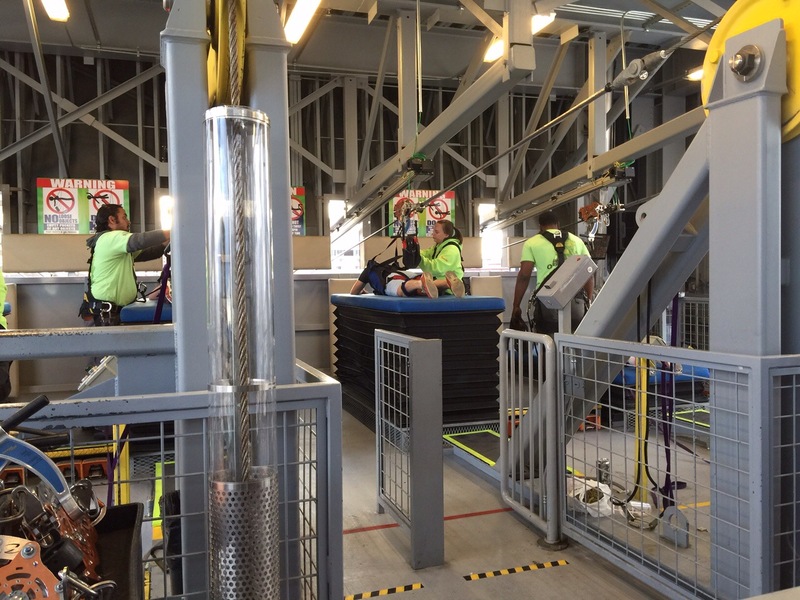 The attraction looks like a giant slot machine, with the lower zipline coming off of the lower floor, and the upper one, also known as the Zoom Line, coming off up top. After purchasing your tickets at one of many touch screen kiosks, you’re given a wrist band a return time to come and ride at. 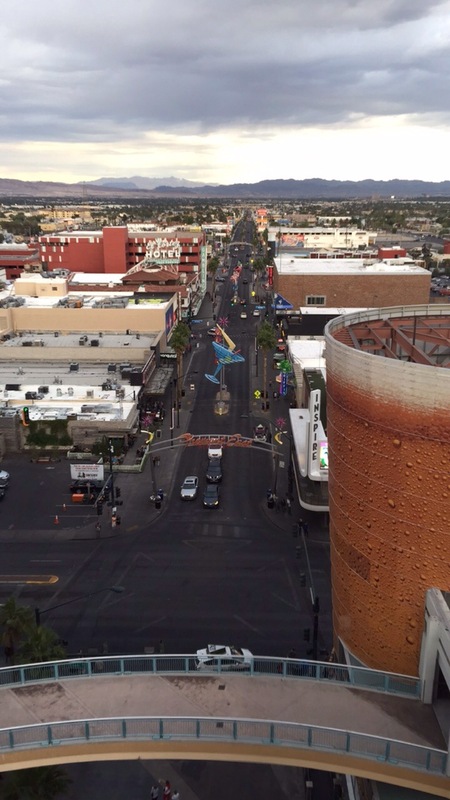 I did the Zoom Line, where you lay facing straight down like Super-Man, and fly over Freemont Street. At our time to ride, we were given our gear, a harness and a bag to put our stuff in (along with extra weight if needed). 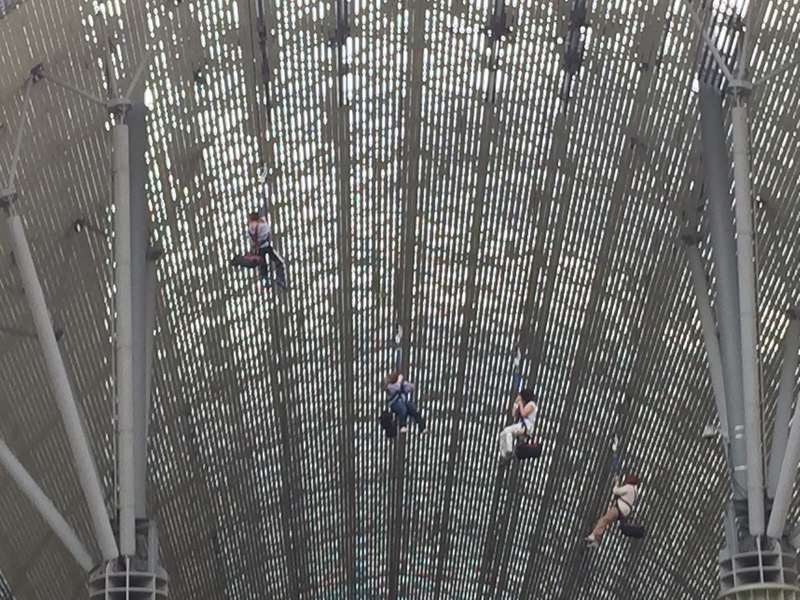 The elevator ride up had a spectacular view of the area. Although it was a cloudy day, it was still a pretty cool view. Riders are told to lay down belly first on the blue mats pictured below. 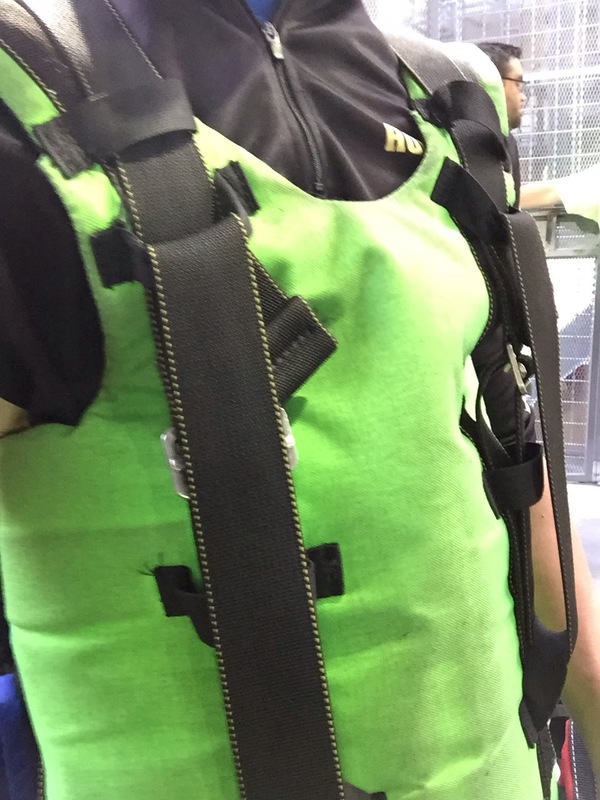 The mats are then elevated and you will be strapped in by one of their team members! Then, the door drops down, and swoosh! Off you go! 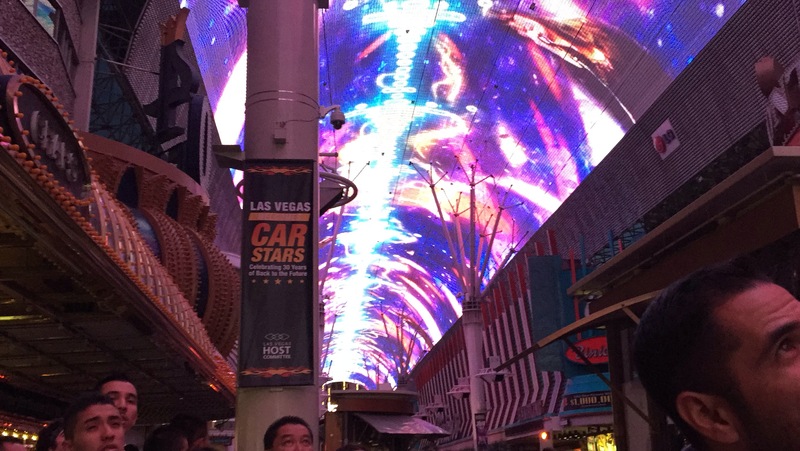 If you’re lucky enough to ride at night, you’ll witness their awesome light show, from above!